PhD student Jennifer O’Connor was selected to receive an MU Jonas Global Fellowship, funded by Jonas Center for Nursing & Veterans Healthcare, which provides global health research experiences for graduate nursing students. Jennifer traveled to the Dominican Republic in October 2017 with Dr. Maithe Enriquez to conduct a study to determine the prevalence of foot health problems among immigrant Haitian sugarcane worker families. Jennifer’s project is believed to be the first to assess foot health in this extremely vulnerable population. 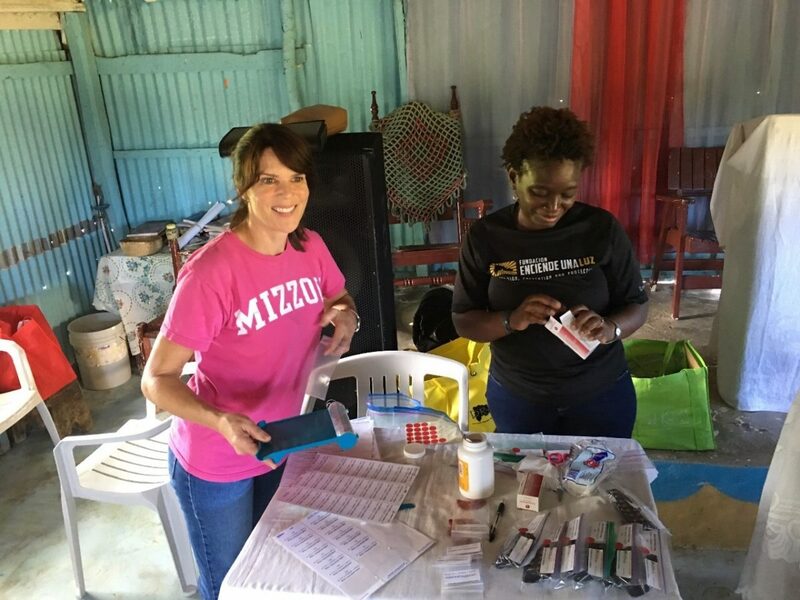 Jennifer also assisted with Dr. Enriquez’ ongoing project to evaluate the effectiveness of a mobile hypertension screening and intervention model for sugarcane worker families in the bateyes of the Dominican Republic. Jennifer, an NINRHealth Behavior Science T32 fellow, is mentored by Deidre Wipke-Tevis, PhD, RN, Associate Professor and Nursing PhD Program Director. PhD candidate Kimberly Hart, MSN, WHNP, was also awarded an MU Jonas Global Fellowship. Kimberly has an interest in global health and completed the graduate certificate in public health at MU. In October 2017, she traveled to the southeastern Dominican Republic with her mentor Dr. Maithe Enriquez to work on an ongoing Sinclair School of Nursing initiative that aims to protect vision health and reduce risk of cataracts among residents in four rural sugarcane villages. Kimberly also assisted with an ongoing four-year project that is examining the impact of a mobile hypertension screening and treatment model. SSON partners with the Light A Candle Foundation, Dominican Republic Medical Partnership and Jonas Center on the batey health projects.